So many hearts were shattered early this morning as sweet Lauren passed away. Lauren and Weston have been married just over 2 years and were expecting their first baby boy this summer. At just 25 weeks gestation, and after several failed attempts to keep that baby inside, baby Vance was born March 29th weighing 1 lb 13 oz. 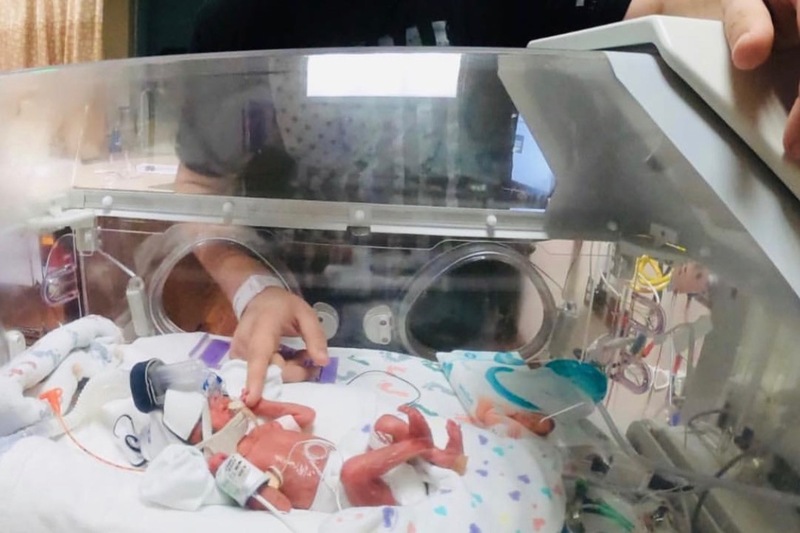 For such a tiny guy, he's been incredibly healthy and is proving his strength as he continues to grow in the NICU. 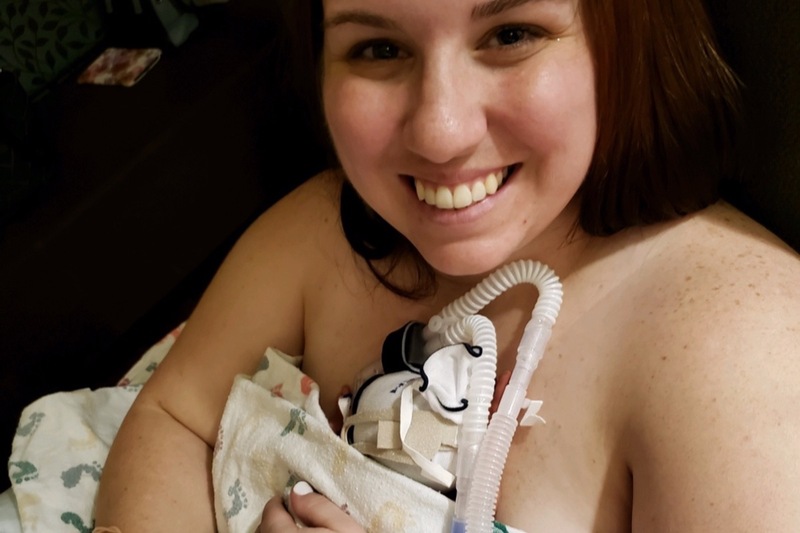 Lauren was so proud to be a mother and was able to hold him for the first time last week, which was no doubt one of the best moments of her life. Yesterday morning, Lauren collapsed at her home in Texas. She immediately stopped breathing and her heart gave out. Weston was there and was able to administer CPR until the paramedics arrived, but her heart failed many times over and Lauren never regained consciousness. Doctors ruled the cause as a sudden, massive Pulmonary Embolism. Many life saving measures were taken throughout the day, but to no avail. Her brain had suffered severe damage due to lack of oxygen, and her heart just couldn't recover from the trauma. Lauren passed away quietly and peacefully early the morning of April 12th surrounded by her family. 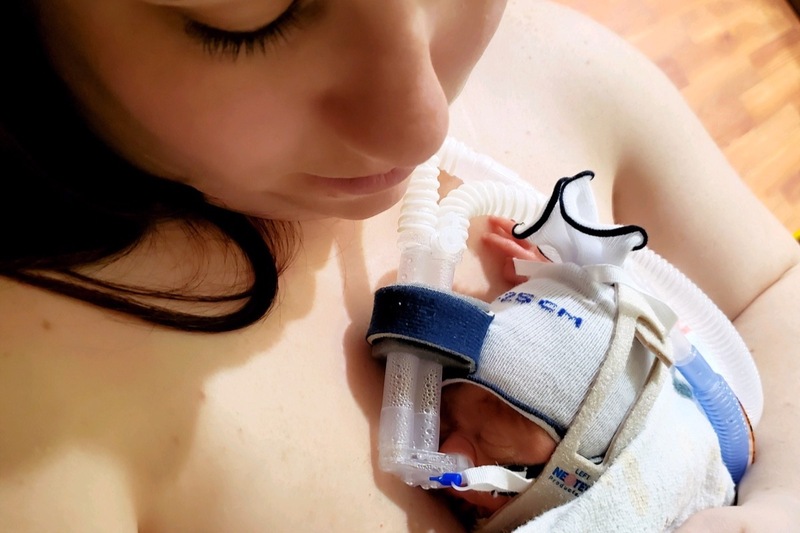 She leaves behind her husband, now a widow at age 23, and their tiny little baby boy, who will likely be in the NICU for several more months. 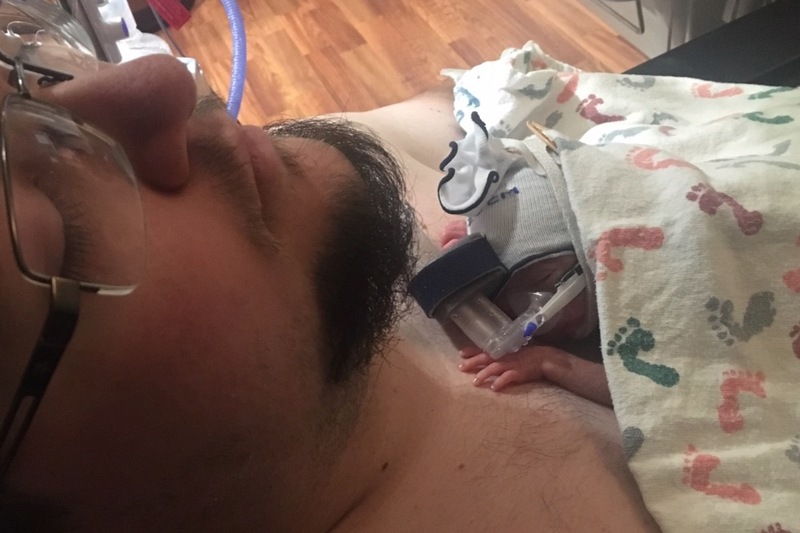 The money raised here will go toward helping to cover funeral costs for Lauren, medical costs for both Lauren and baby Vance, and to help ease Weston into his new reality. Any amount is appreciated. Their family is deeply grateful for and overwhelmed by all the love and support already shown. Thank you thank you thank you!! Here is Lauren's official obituary for those interested. Many thanks to Premier Funeral Services for taking care of our girl. 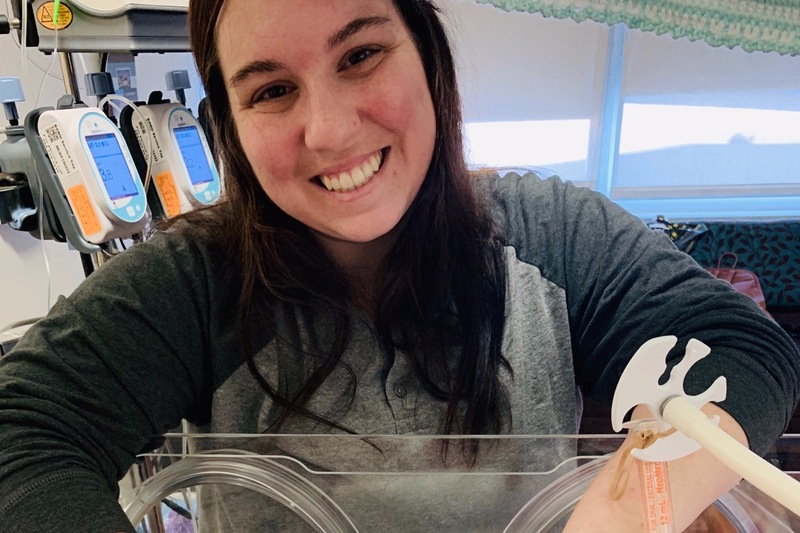 Our hearts and lives were forever changed on April 12, 2019 when our spunky, vivacious Lauren Connie Gourdin Brandon left this world very unexpectedly after suffering a massive pulmonary embolism. Lauren was born on December 5, 1993 in Provo, Utah to her parents, Vaughn and Jennifer Gourdin. She was a ray of sunshine her whole life and enjoyed being a second mother to her siblings, Justyn and Dylan. She had big beautiful eyes and a fantastic smile with an infectious laugh and personality that filled every room. She could win the hearts of everyone that interacted with her. She loved paying compliments to strangers and smiling at everyone that she passed by. Lauren had a love for sports, learning and reading. She began playing competitive softball when she was 8 and tried and excelled at a variety of positions including pitching, catching, most of the infield and outfield. Many family vacations were spent traveling to various states playing tournaments. She graduated from Lone Peak High School in 2012 and continued her softball journey at Yavapai Junior College in Prescott, Arizona. Lauren received her pharmacy technician certification in 2013 and learned many different aspects in her field that included IV therapy, compounding and retail. She excelled in her jobs and loved working and interacting with patients and coworkers. She met her forever love, Weston George Brandon on February 16, 2017. They eloped and were married on April Fool’s Day 2017 in Las Vegas, Nevada at the courthouse with only their parents present. The following year they were sealed for time and all eternity in the Mount Timpanogos Temple surrounded by family and friends. 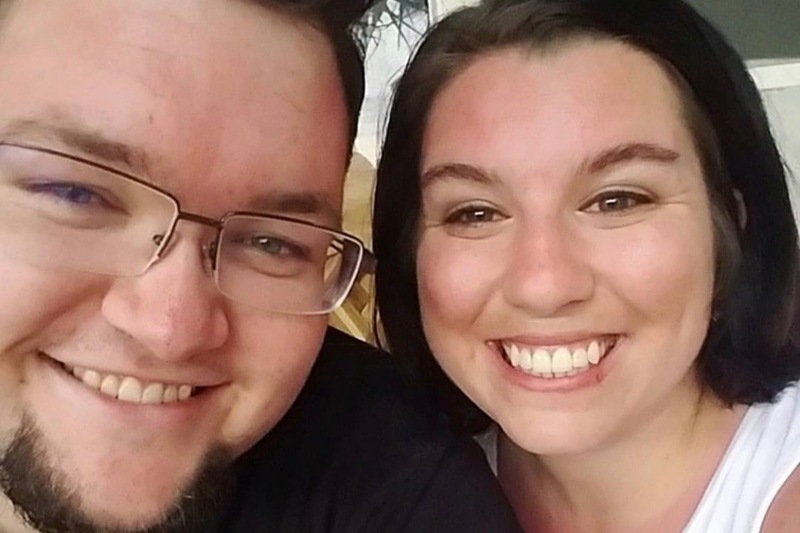 Lauren and Weston moved to The Colony, Texas in March of 2018 and spread their love and vibrance to their ward and work families. Lauren loved playing games, watching cooking shows, making yummy treats, snuggling with her husband, singing, laughing and eating cake. Lauren was so excited to be a mom and welcomed their sweet baby boy, Vance Weston Brandon at 26 weeks, way too early but tough and feisty like his mom. After 5 days in the NICU, Lauren was finally able to hold her baby for the first time and she could not stop smiling! She only had him in this world for a short time, but she will be watching over him forever. Lauren’s love for life will be passed down to her baby boy through the stories and experiences of family and friends, far reaching. He will know his mother’s love as he learns about her generous, loving and kind spirit. Lauren is survived by her husband, Weston, her son, Vance as well as grandparents, parents and siblings. Lauren was able to continue blessing others in this life through the generous gift of organ donation. She is an amazing young woman and the world is a little less bright without her in it. We will all miss her every day and hope to carry on her great example of kindness and service to others. Funeral services will be held Saturday, April 20, 2019 at 12pm at 368 Aspen Hills Blvd, Saratoga Springs, UT. There will be a viewing at the same location Friday evening from 7-9pm and Saturday morning from 10:30-11:30am. Internment will be directly following the funeral services at the American Fork Cemetery, 26 W 600 N, American Fork, UT. We are so overwhelmed with the response to help this family! Weston and his entire family are beyond grateful for your generosity and love. Every single message or text or comment has been read. In all the overwhelm these past few days have brought, they are unable to respond to all of them, but please know that it all matters and it all helps more than you could ever know. Lauren was able to donate several organs after passing, and they are already working miracles in others' lives. They received word today that her kidney was a perfect match for someone else nearby and is already fully functioning for that individual. Through the despair and devastation, there are multiple miracles and tender mercies being recognized and written forever in their hearts. God is good. People are good. You all are amazing. 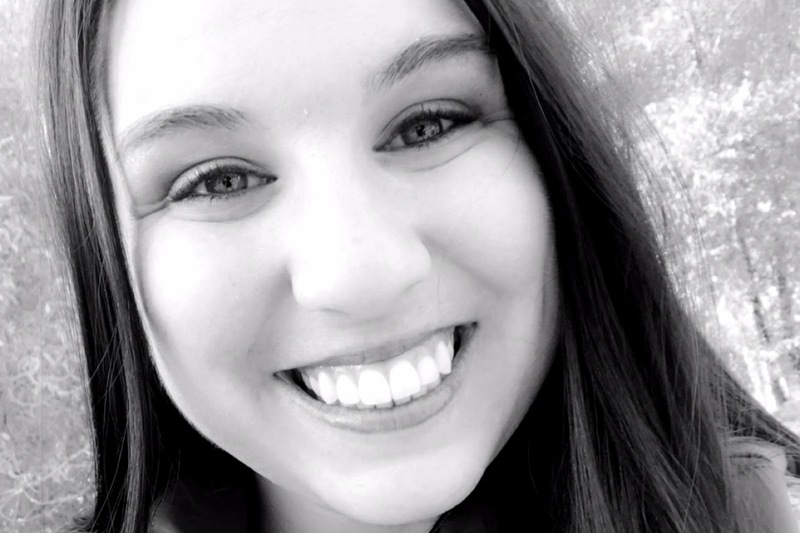 There will be a memorial service for Lauren close to their home in Texas tomorrow, then she will be transported to Utah for the funeral and burial over Easter weekend. More details will come soon. Your continued support is so very much appreciated and needed. The Brandon and Gourdin family are so grateful and could not do this without you. Thank you! !